Weaving a dream: Aathi Lakshmi is completing her master’s in business administration. 4 min read . 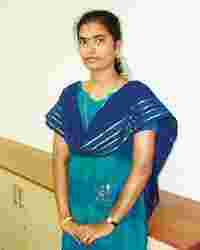 Updated: 23 Nov 2007, 11:49 PM IST John Samuel Raja D.
Tirupur, Tamil Nadu: From an unskilled labourer to a final-year MBA student—Aathi Lakshmi made this transition in less than seven years. In 1999, she saw many classmates, even those who scored lower than her 80% marks in class XII, continuing their education. But, the family of Lakshmi, who hails from a village in Aruppukkottai municipality about 500km south of Chennai, could not afford to send her to college. So she joined KPR Mill Ltd, a large textile mill based in Tirupur, as an apprentice under what is popularly called the Sumangali scheme—young women in their late teens are employed for three years and given Rs20,000-50,000 at the end of the contract, hoping the money will help their families. To her surprise, Lakshmi found that her employer also sponsored higher education for those in Sumangali. She enrolled for an undergraduate degree in commerce and is now pursuing her master’s in business administration from Alagappa University. “Our aim is to ensure that each girl that comes to work in our factories should get some form of education," said P. Nataraj, managing director of KPR Mill, which produces everything from yarn to garments. Based on a petition filed by Dindigul District Anna Panchalai Thozhilalar Sangam and Anna Panchalai Thozhilalar Sangam, Chennai, against the scheme, the Madras high court last month directed the Tamil Nadu State Legal Services Authority (TNSLA) to form a committee of women’s organizations to conduct surprise inspections in textile mills across the state. Around 33,000 girls are employed in 1,702 units in the two blocks of Tirupur and Avinasi alone and among them are 8,890 adolescent girls and young women workers under the Sumangali and hostel schemes, according to a survey conducted by Social Awareness and Voluntary Education (SAVE). Yet, companies such as KPR say they represent the exceptions and success stories of Sumangali. The programme was started about a decade ago to take advantage of a loophole in the law that allowed industry to hire workers as apprentices without offering access to unionization. Generally, young women come to work for three years and then go back to their villages and get married. Then there are employees such as Lakshmi. Today, almost half of the 5,670 girls employed by KPR pursue some form of education, from class X to post-graduate degrees to job-oriented courses such as office management or food nutrition. The highest number, 555 girls, have enrolled in computer-related courses, such as a diploma in computer applications or post-graduate diploma in computer applications. About the same number are split among classes X and XII, while 512 workers are pursuing a degree. As most of the girls joining under the scheme are in their teens, 99% arrive as school dropouts and have no degree. To allow a balance between work and education, the company said it decided each girl would do only an eight-hour shift, with no overtime option. Also, a mandatory 10-day holiday every quarter is offered for the women to visit their villages, mostly scattered across the southern districts of Tamil Nadu in Virudhunagar, Pudukkottai, Tirunelveli, Theni, Dindigul and Madurai. In 1999, the idea of offering distance education courses to employees started when a young female employee said she wanted to study more but had to work. “It was then we decided that distance education could be the way forward," says K.P. Ramasamy, chairman of KPR Mill. As many girls enrolled, distance education providers offered to conduct classes in company-built hostels. Initially, the pass rate was only 20%, with the full subsidy of Rs2,500 per year paid by the company. “We decided that each girl should provide 50% of the cost. The success rate doubled immediately," said Ramasamy. To further increase the pass rate, KPR promised cash incentives to the residential teachers it employed, based on the number of candidates passing the exams. After this offer of incentives, only one out of five employees has failed. The hostel scheme, wherein girls are housed near the factories, has also helped companies such as KPR control attrition and better plan its workforce requirements. P. Ranganathan, general manager of one of KPR’s factory, said the wages, education, food, lodging and transportation costs the company Rs150 per day per worker, even after accounting for expenses such as the final payment of Rs36,000 at the end of 36 months. “Cost-wise, there is not much difference when compared with union workers, but productivity is higher," he said. At a minimum, workers must enter after they’ve passed at least class VIII. The legal age to work in India is 14, although it varies by industry and job role. In Tirupur, according to a wage agreement for the period between 1 January 2007 and 31 December 2010, the wages range from Rs80.07 for triumphing and cutting threads to Rs156.07 for cutting, tailoring, ironing, packing, knitting and sewing. While KPR maintains its work, wages and perks are on the better end of the spectrum, a large number of cases of exploitation and non-payment of promised money to the workers in various mills have emerged. Mint could not immediately ascertain whether KPR Mill finds mention in the petition filed in the court. The SAVE report, which does not mention KPR, concludes: “They are paid very little, about Rs750-1,000 per month, and have to work for more than 12 hours a day and even more than 12 hours during peak season. And, they are allowed to go outside the factory premises for only four hours in a month." “Employers cheat the girls by dismissing them just before the end of three years, citing some reasons, thus denying them of their dues," said M. Chandran, district secretary of the Centre of Indian Trade Union, affiliated to the Communist Party of India (Marxist). Even as the battle rages between companies, on the one side, and trade unions and non-profits, on the other, Aathi Lakshmi is confident of completing her MBA in May. She hopes to become a manager in the same factory.